This software download is for our USB Host Boards and chips. It allows you to connect a USB Flash Memory Stick to the Host Board and read/write files via a serial TTL interface or I2C. Ideal for data logging applications. 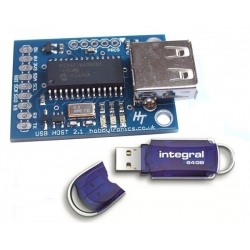 See the USB Host Board and IC product pages for details on pricing and installing this software (you can click on the product images below). Supports both the FAT16 and FAT32 file systems so can access large capacity memory sticks. READ <file> [LINENO] Print a single line of file, current dir only. Useful for reading a configuration file. Print a section of a file, current dir only. Useful when reading in a complete file, but splitting it into smaller chunks. [START] is the start byte from the beginning of the file (starting at 0). It can also be the character 'n' which starts from the last read position. This would read the first 20 bytes of the file, then the next 20 bytes (using n). SIZE <file> [BYTE|LINE] Return size of [file] in bytes or number of lines. The number of lines is useful when reading a configuration file. WHO Display the VID and PID of the attached device. This is useful if you only want to read/write to a specific flash drive. 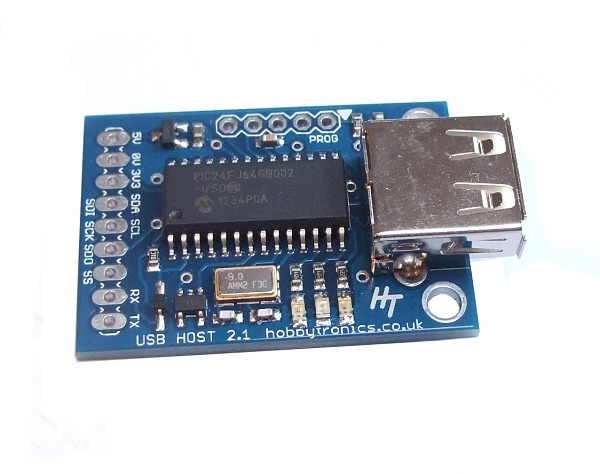 The USB Host Board has a real time clock on-board. When you have set the date and time the real time clock will keep track of the correct date and time. Files created will have the correct time and date stamp. The time and date can also be read in to your controller and then used in your output string. The Real Time Clock is maintained by the main crystal oscillator and not by a dedicated watch crystal. It should be accurate to within a few seconds per day. There is no battery backup for the clock. If you remove power to the Host board the clock will lose its settings. In the default mode for writing to a file, we assume the file is text based and the file is closed by sending the Control-Z character. In the optional Binary mode (V1.10+), any character can be sent and will be written to the file, including the Control-Z character; so we need a different method of closing the file write. This is done using the unused SDO (A) pin on the board. This pin is HIGH by default and should be briefly pulled LOW to terminate the file write. Note: You can use the [B]inary method for normal text files as well as binary files. Terminal Mode. Type as you would on your computer. All instructions and results are echoed back. This mode is best used when connected via a serial connection to a computer. Silent mode is best explained with an example. Here we have an arduino sketch which sets the date and time and then writes to a file, all in silent mode. No data is echo'd back to the microcontroller. Basic use of Flash Drive in Silent Mode. Writes and Appends data to the file, then closes file. delay(1000);        // Needs extra time to create the file. // Close the file by sending Control-Z (note the use of "print" not "println"
Here is another example program. It reads the number of lines in a files, then reads each line in one at a time. 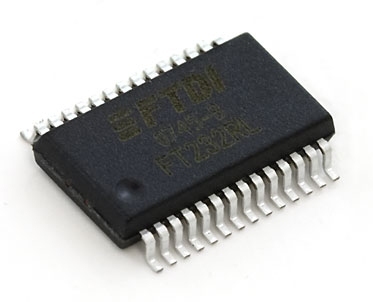 It uses software serial to talk to the USB Host board so that the file data can been seen on the Arduino Serial Monitor. This is useful for reading in data files or config files. and to individually read each line. We have added basic read/write functionality using the I2C interface. 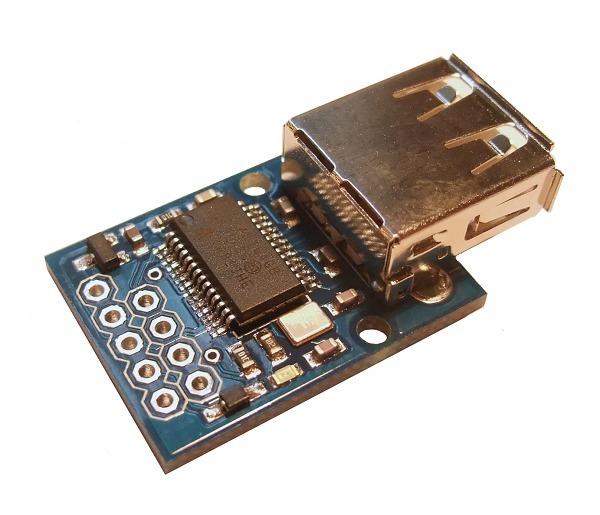 This is still a work in progress but if you need to use an I2C interface rather than a serial connection then this section is for you. We shall describe the functionality then show an example program to show how it all works in practice. So, starting with I2C_FILENAME; we use this to transmit the filename to be used in the read/write operations. This only needs to be done once, unless you want to change the filename or if you are writing to one file, but reading from another. The I2C_WRITE and I2C_APPEND commands do what they suggest, I2C_WRITE overwrites the file with data, while I2C_APPEND appends to the end of the file. Now, read operations are trickier. Because flash drives can take some time to read the data, we can't simply request some data and expect it to be returned in a timely fashion suitable for I2C communication. So we have split reading into 2 operations. First we tell the flash drive what data we want; then we wait for the flash drive to read the data, then retrieve the data and store it in a buffer. When the data is fully received the data can be read from the buffer. The I2C_READ function returns a specified line of data from the file. This is generally more useful than simply reading x amount of characters, especially if you are reading from a configuration file for example. Lines must be terminated with a carriage return. 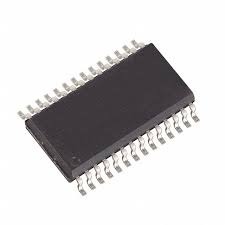 So to read a line from a file, we first use the I2C_READ_SETLINE function to tell the host board which line number we want, it can then fetch the data, and when ready we use the I2C_READ function to read the data. The I2C_FLASH_READY command is used to determine whether the flash drive is available for read/write operation and is not currently busy. The example Arduino program below shows how data can be written to and read from a Flash drive using the I2C interface. You can change this value to allow more data to be written or read. // the first line which should be "Test File"